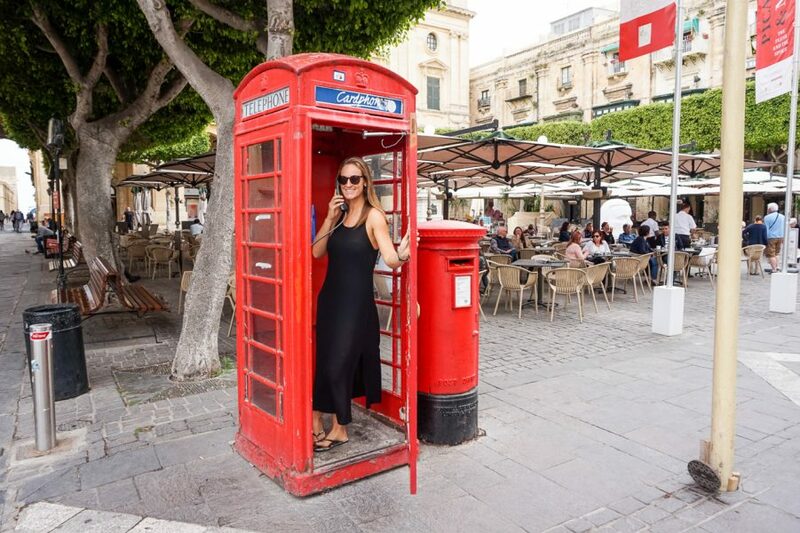 Are you heading to the small Mediterranean island of Malta and just not sure what to do with your time there? 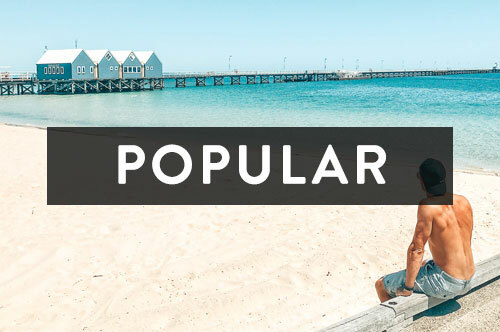 Well, you’re in luck because there’s something for everyone with a lot of beautiful places to visit, delicious food to sample, relaxing beaches to swim at, old historic cities to explore and many hidden gems to discover. 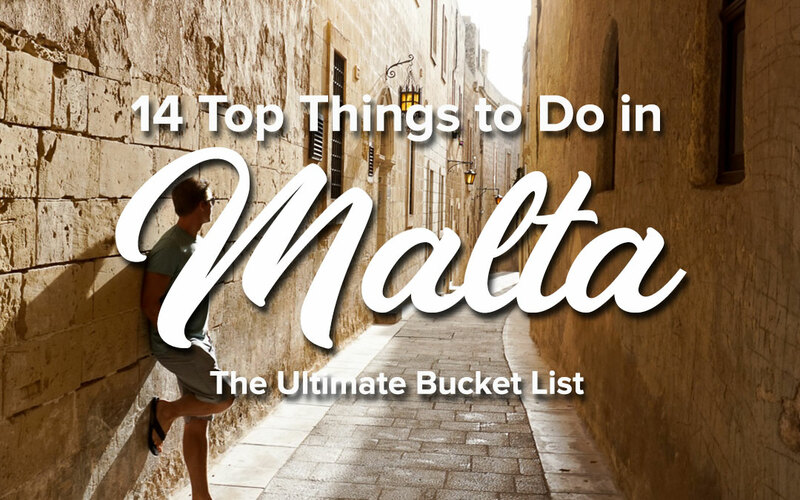 Get planning and add these top sights to your Malta bucket list. Għajn Tuffieħa and Golden Bay Beach are two incredibly gorgeous beaches that can be found right next to each other in the North West of the island. 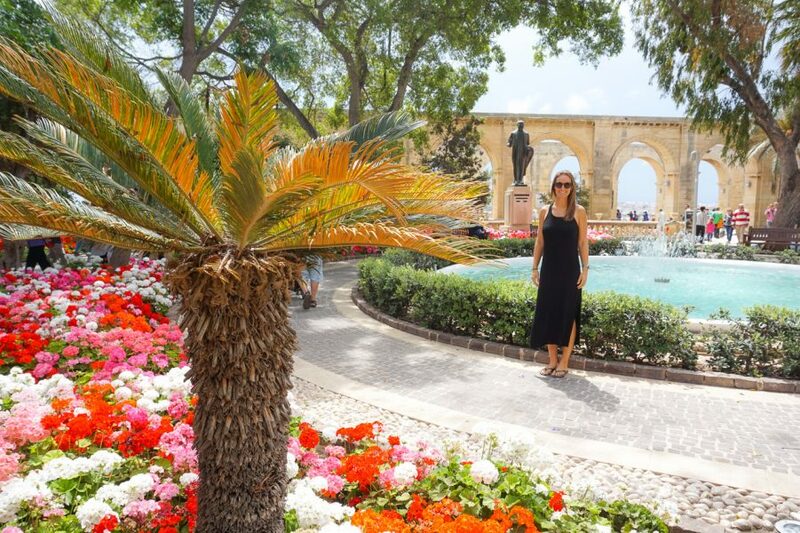 Due to their considerable size and sheer beauty, they are undoubtedly two of Malta’s most popular places to spend a hot summer’s day. The sand is clean, the water is to die for and there’s enough going on to keep everyone happy. 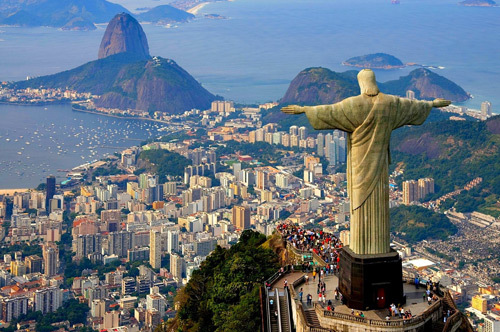 Restaurants, snack bars, beach sports, bathroom facilities & umbrella/chair rentals. Be sure to view both beaches from the cliffs above. It’s worth it! Golden Bay Beach is easily accessible via the car park which can be found right by the sand or the bus stop which is only 5 min away. 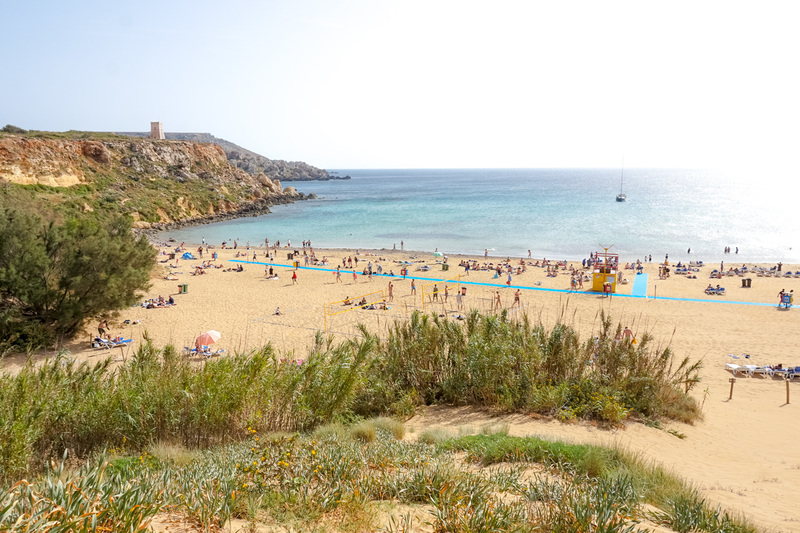 Għajn Tuffieħa Bay can also be reached by bus but take note that a 200 stair descent is required to get to the beach itself making it a little less desirable for some to visit. Tip: Dont rush off once the sun sets! Stick around for sunset and have yourselves a little picnic! Wine, cheese and sunsets. They all go hand in hand to me! Am I right? Who doesn’t love Popeye and a good handful of spinach (well, maybe not the latter)? 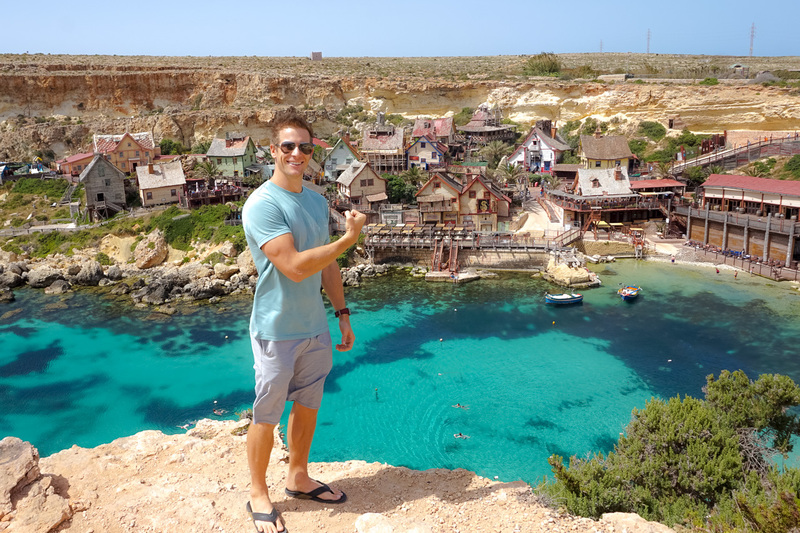 The Popeye Village in Anchor Bay really took us by surprise. Once the setting for the 1980 musical production of Popeye, nowadays, it has been transformed into a small theme park for kids (or adults) with boat rides, mini golf, water trampolines, food outlets, sunbaking chairs, all sorts of entertainment and best of all, a killer swim spot! Depending on your love for Popeye, you can even plan your wedding here! Never. Grow. Up. 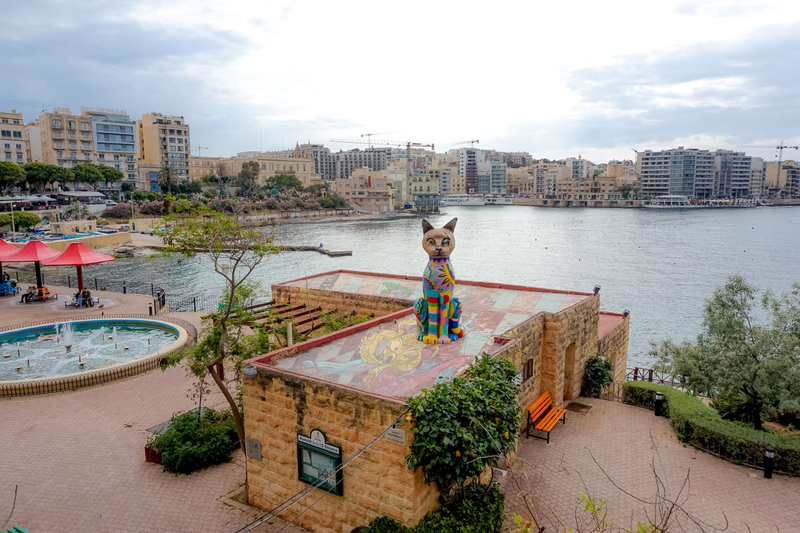 Tip: Use your Malta Discount Card to get 25% off your entrance fee. 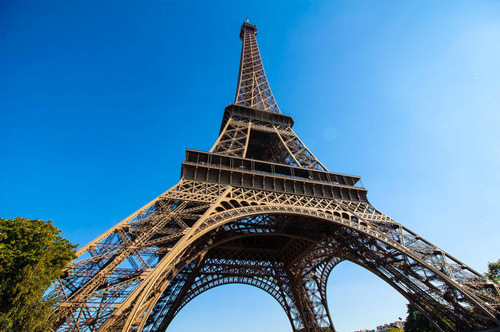 Otherwise the entrance fee is €15 for adults/ €12 for children (summer) or €10.50 adults/ €8.50 children (winter). 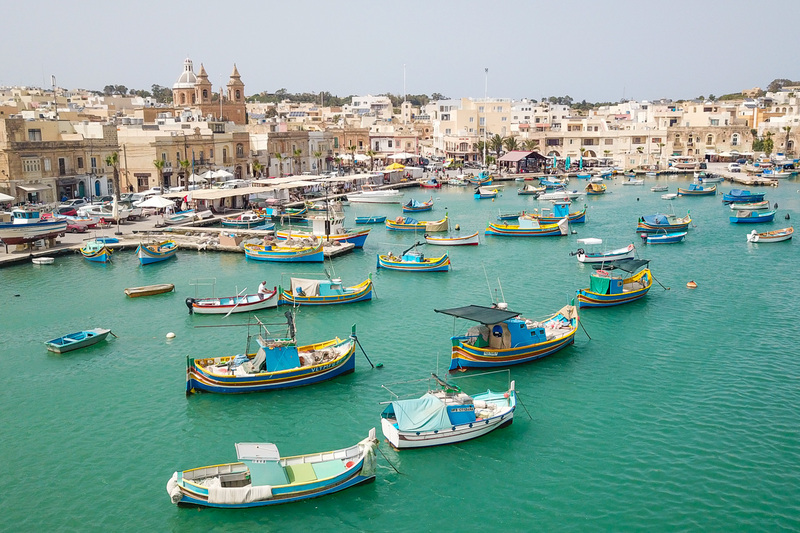 Marsaxlokk in the south of Malta is a colourful, traditional fishing village where you’ll find 100’s of typical Maltese Luzzu’s, (aka Maltese fishing boats) littered over the bay. 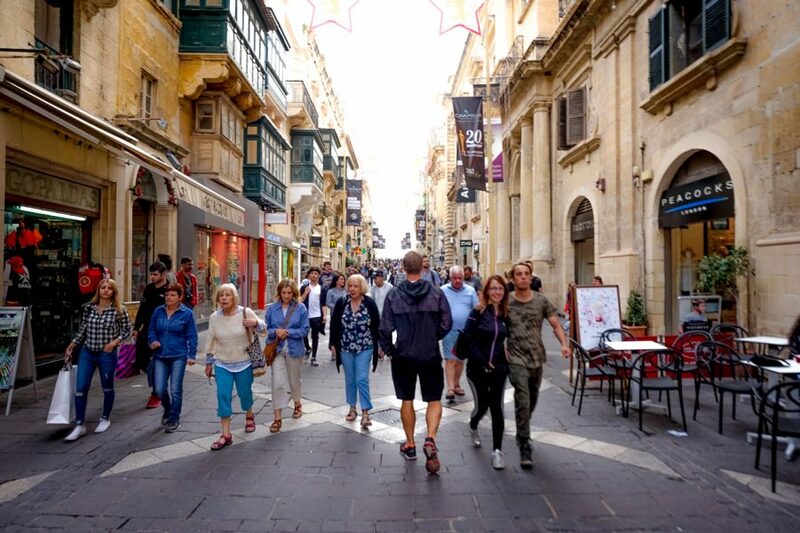 On Sundays, what used to be just a fish market has turned into one of the largest markets on Malta attracting 1000’s of tourists. You can now find plenty of souvenirs & clothes as well as locally produced honey, fruit jams, wine and the largest sweets section ever (they look better than they taste, don’t be fooled). 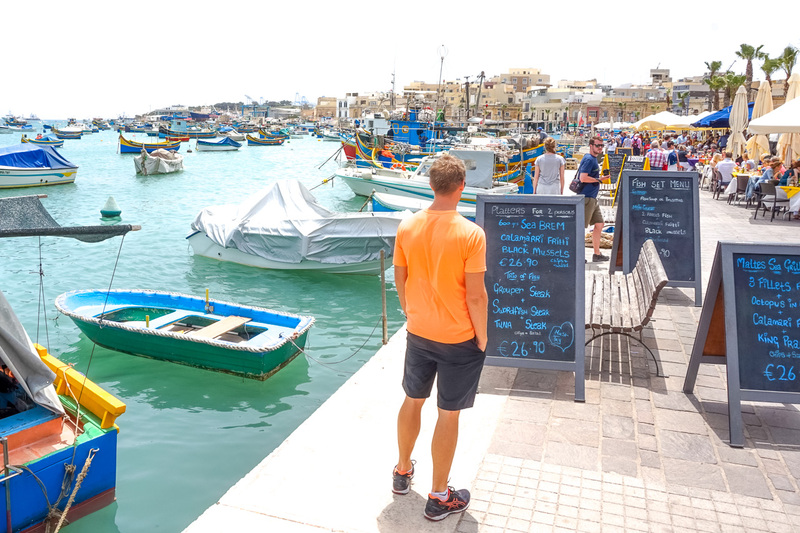 Once you’re done roaming the markets, stay for lunch at one of the many seafood restaurants that line the promenade. Our favourite? La Nostra Padrona. It has uninterrupted views of the bay, great fresh seafood and decent prices. It was recommended to us numerous times. Look out for the blue umbrellas. 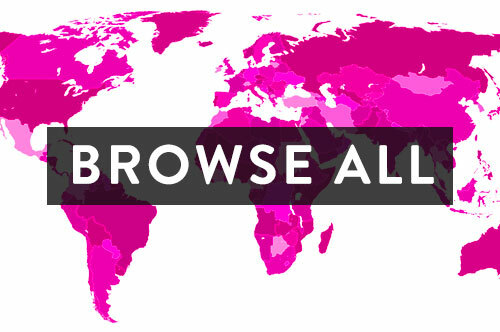 Tip: Avoid the crowds and skip the Sunday markets. 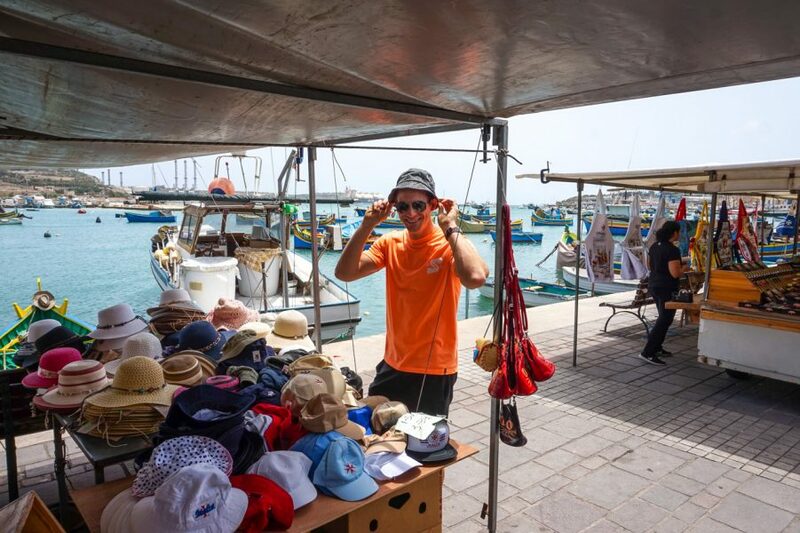 You can still visit the markets on Monday – Saturday, just to a lesser degree. Not to mention it’s far less busy. Watch your bags as pick pocketing is quite common. 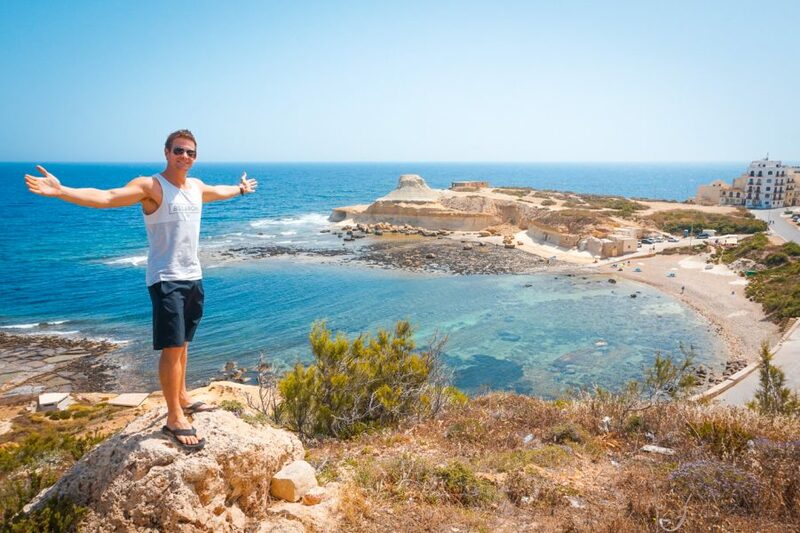 Malta may lack large sandy beaches but there is definitely no shortage of epic swimming holes to cool off in instead. 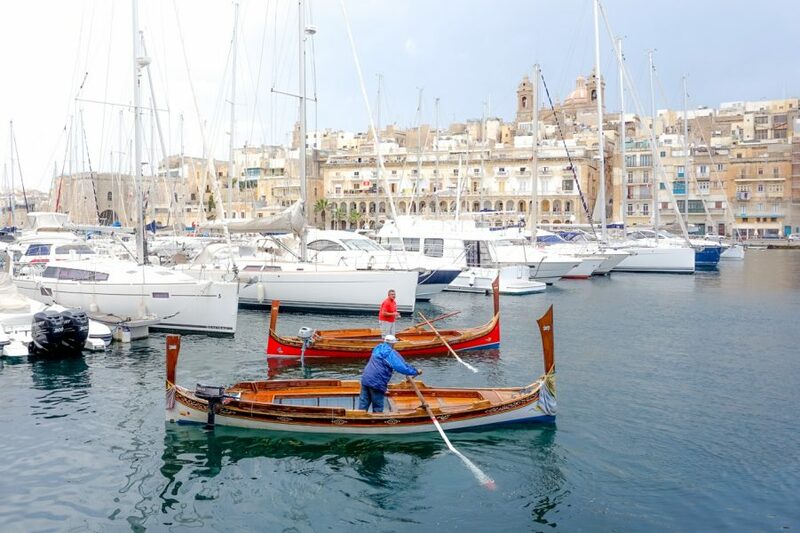 St Peters Pool can be found in the south of the island, a very short drive from the fishing village of Marsaxlokk. 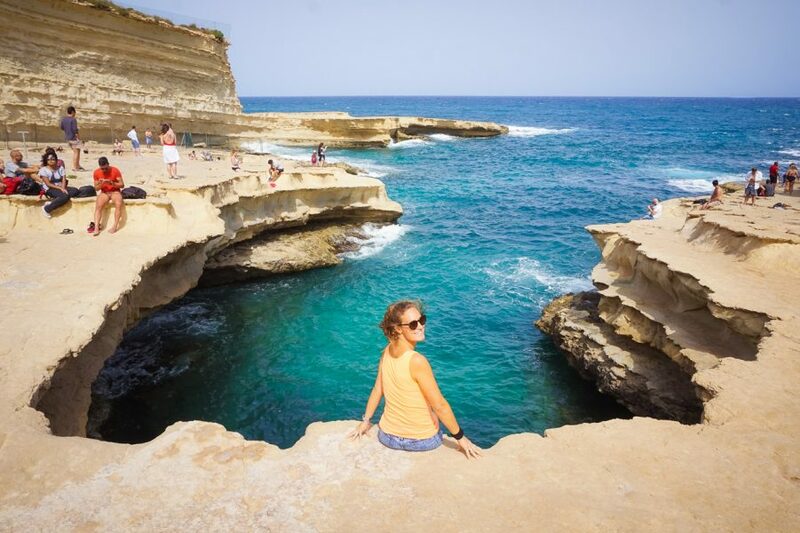 This natural swimming pool has turquoise waters, rocks to jump off or a ladder to enter the water, large (rocky) areas to lay your towel and is slightly less crowded than some of Malta’s other hot spots due to the lack of public transportation to reach here. Parking is at the top of the hill and it will take roughly 10 minutes to walk down to the water (depending on where you park). The roads aren’t paved so don’t pop a tyre! 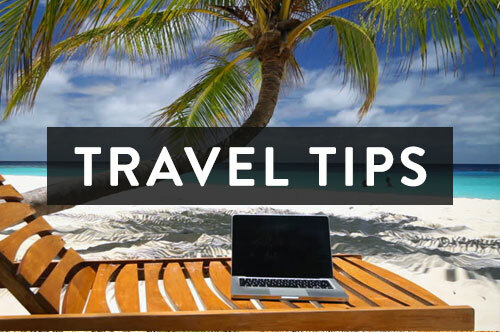 Tip: There are no bathroom facilities, food stalls or places to rent umbrellas so come prepared, pack lunch and bring drinks, you’ll likely want to enjoy the natural beauty of this pool all day . 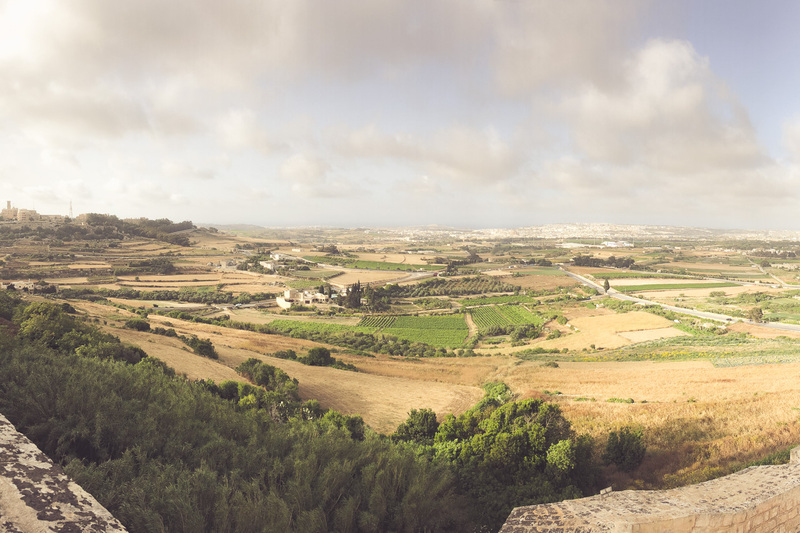 The Dingli Cliffs are located just off the village of Dingli, on Malta’s Western coast. 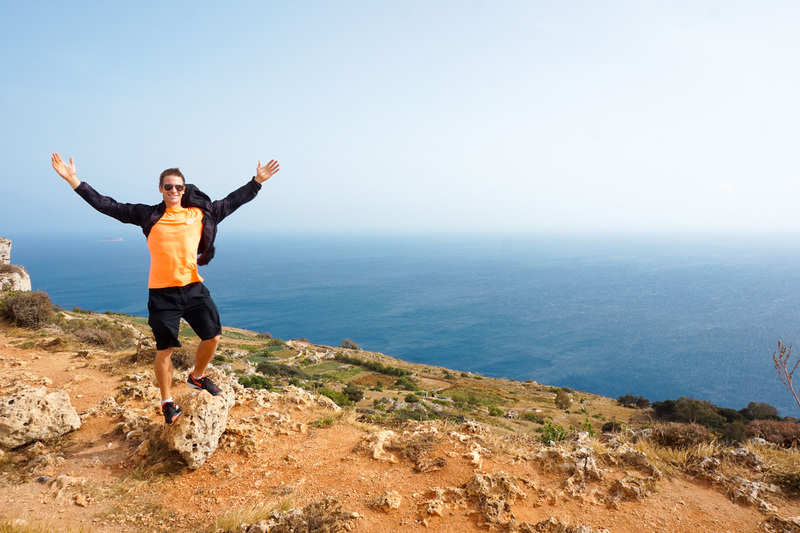 They are the highest point of the Maltese Islands standing 253 metres above sea-level. There were unbelievable winds when we visited the cliffs so unfortunately, we didn’t walk far but on a clear day, the view (we hear) is very impressive. After all, you are on the highest point of the Island! Tip: If you happen to be in this area during lunch or dinner, drive a further 5 minutes into the town and have a meal at Diar il Bniet (shown above). It’s a cute, farm-to-table restaurant serving delicious local cuisine with the freshest of ingredients. Oh I can still picture the freshness of the strawberries! 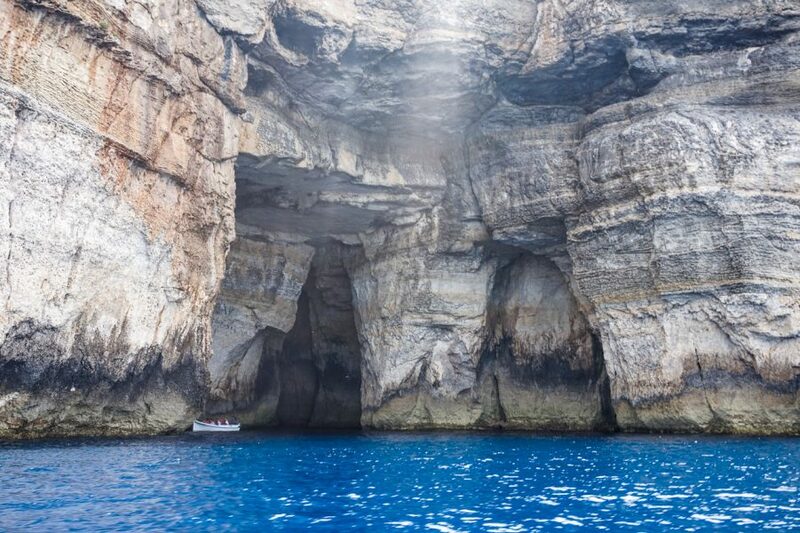 The Blue Grotto, one of the most scenic spots on the island lies on the outskirts of the west coast nearby the tiny harbour town of Wied Iż-Żurrieq. It is one of several sea caves worldwide, where you can find bright blue water combined with emerald light. The vibrant blue colour is caused by the varying sunlight that shines through the caves. 50 shades of blue at it’s finest! The best way to view the grotto is by taking a 25-minute boat trip from the jetty in which you’ll visit the Blue Grotto and the other 6 surrounding caves. Tickets can be bought for €8. There are a handful of restaurants and public transportation. All boat trips are subjected to the weather conditions and unfortunately, it wasn’t our day and the boats were closed due to winds. Womp Womp. Tip: The best time to visit the Grotto is in the morning when the water colour is the brightest. 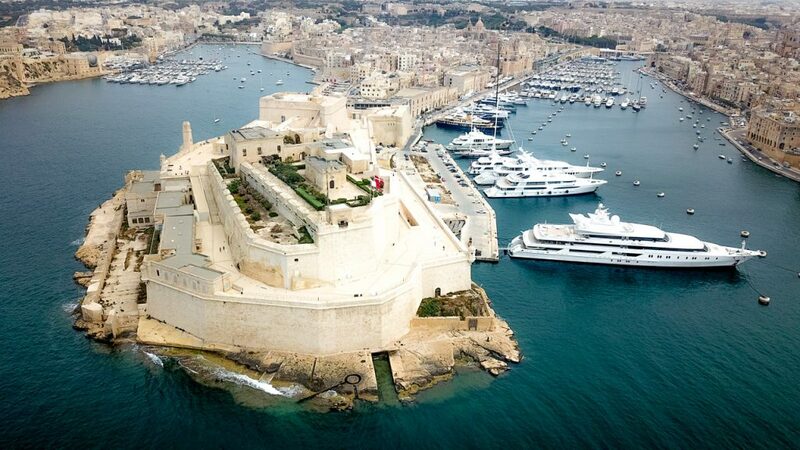 Valletta is the capital city of Malta & due to its small size, you can cover the whole city easily by foot. 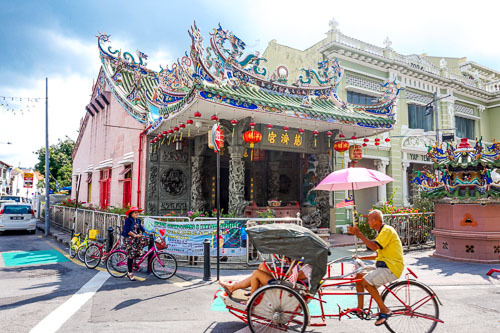 Aside from roaming the narrow, historic streets admiring the colourful, traditional balconies and impressive architecture, there are a few more places worth a visit. 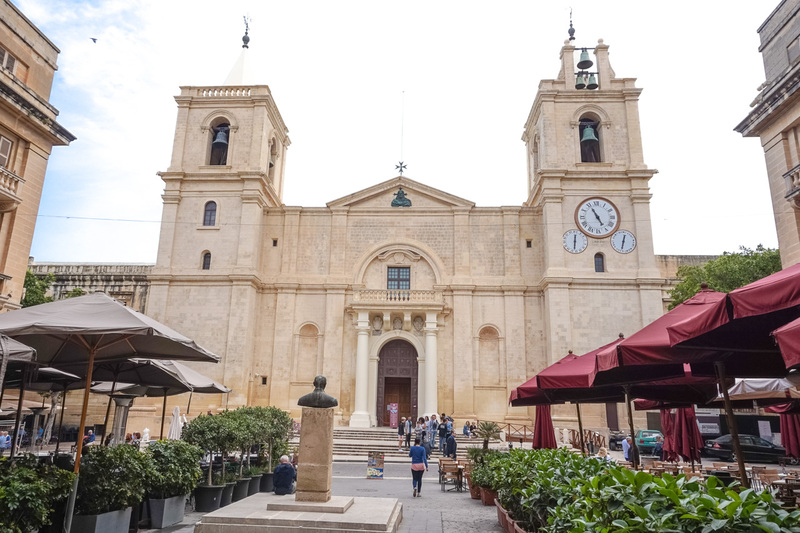 Step into the unassuming St John’s Co-Cathedral which was built between 1573 and 1577 and prepare to pick your jaw up off the floor. We’ve seen our fair share of churches throughout Europe but this one was next level. 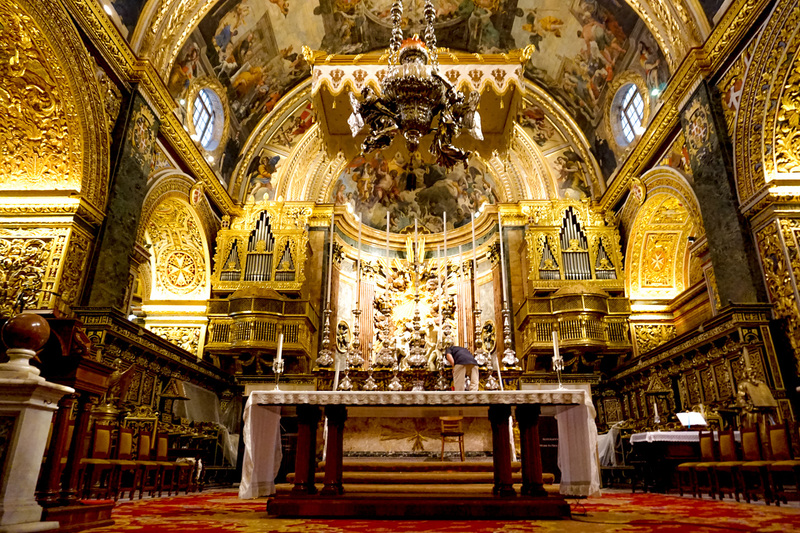 It is also home to famous paintings by Michelangelo Merisi da Caravaggio and Mattia Preti. For great views of the harbour, head into the Upper Barrakka Gardens where every day at noon a salute is fired from the canons below. 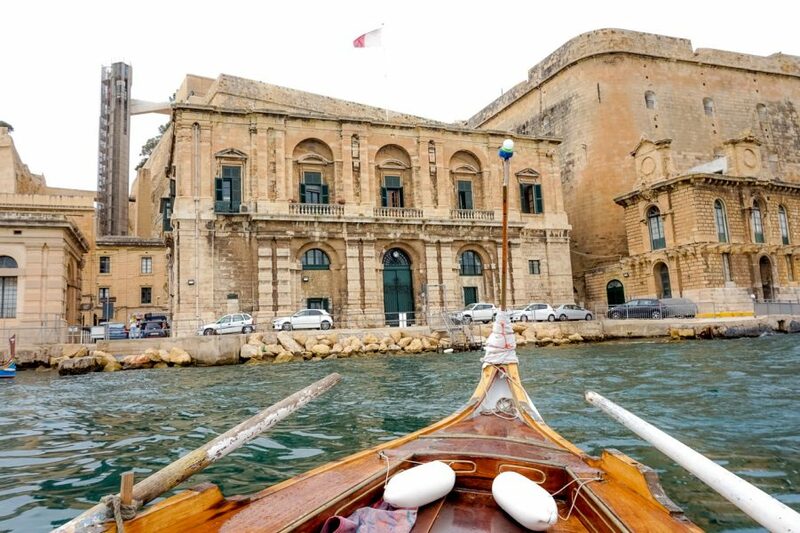 Touch up on your Maltese history at The National Museum of Archaeology where you can find items dating back to 5000BC. 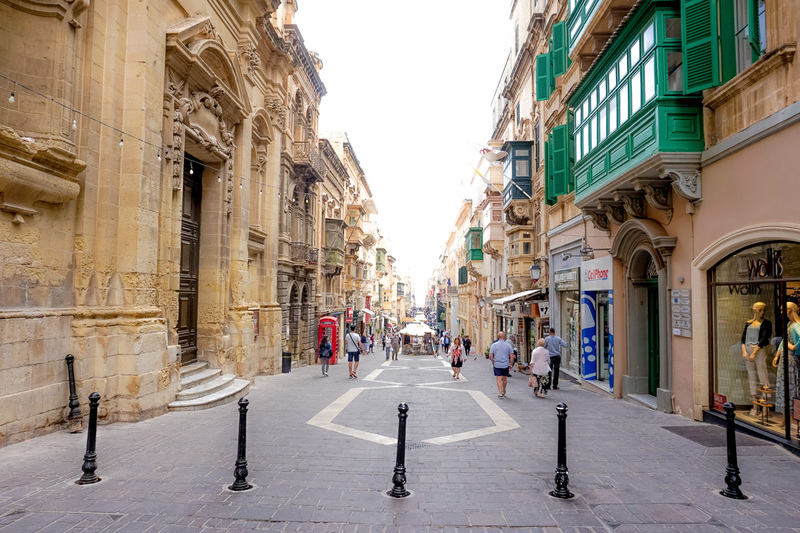 Take a stroll down Strait Street, Valletta’s most well-known street. 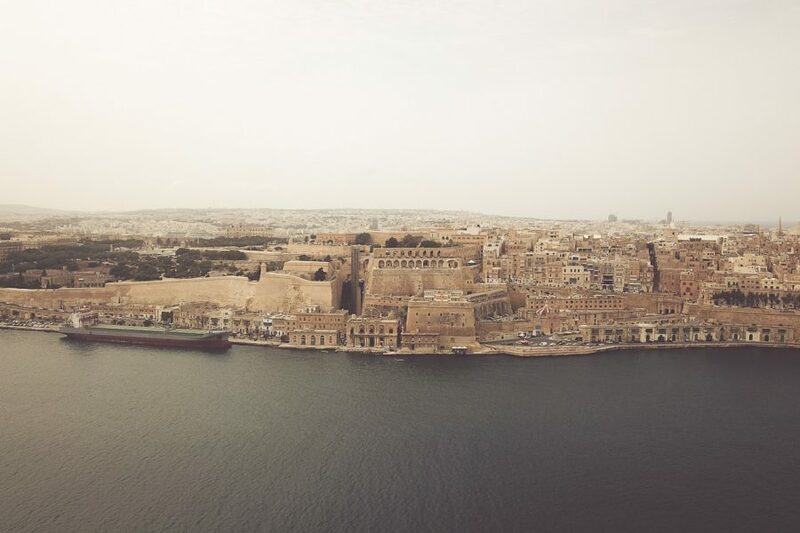 It was the centre of nightlife amongst the American and British military men and Maltese frequenters between the 19th and mid-20th century. 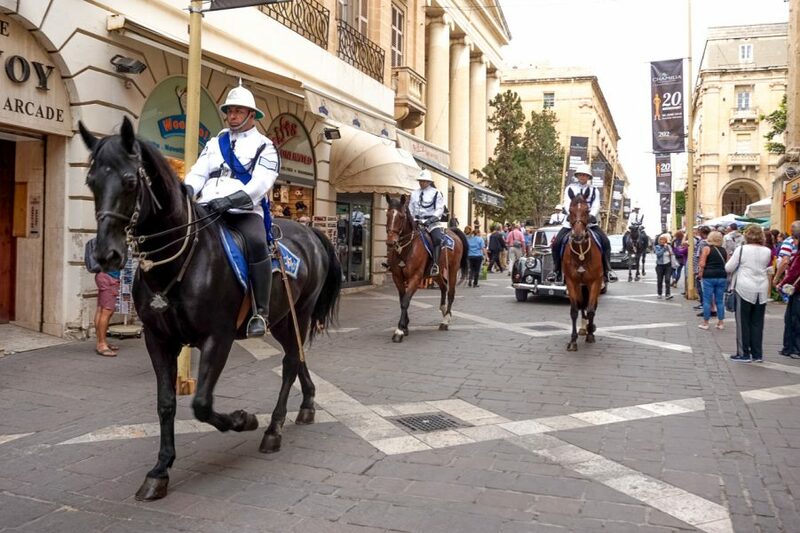 Still, to this day, it carries on its tradition with lively bars, restaurants and live music. 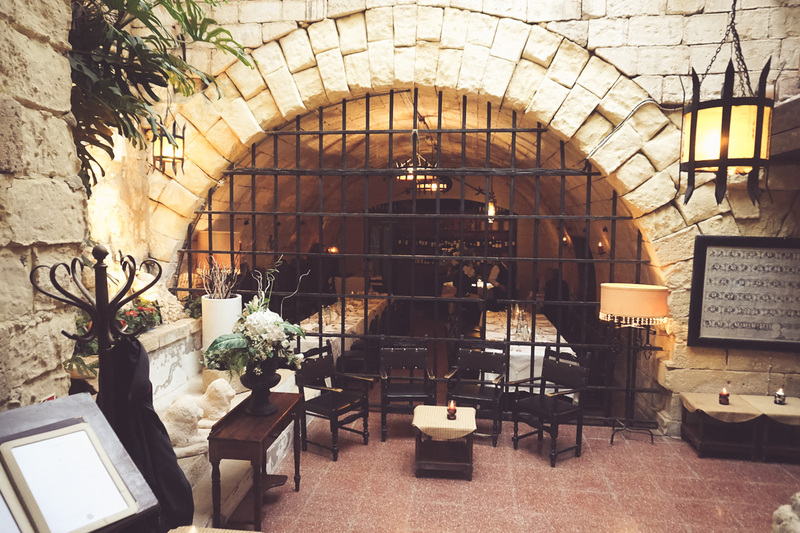 There is definitely no shortage of restaurants in Valletta but if there’s one we highly recommend it’s Guze Bistro. Romantic, cosy and delish! Did you know? 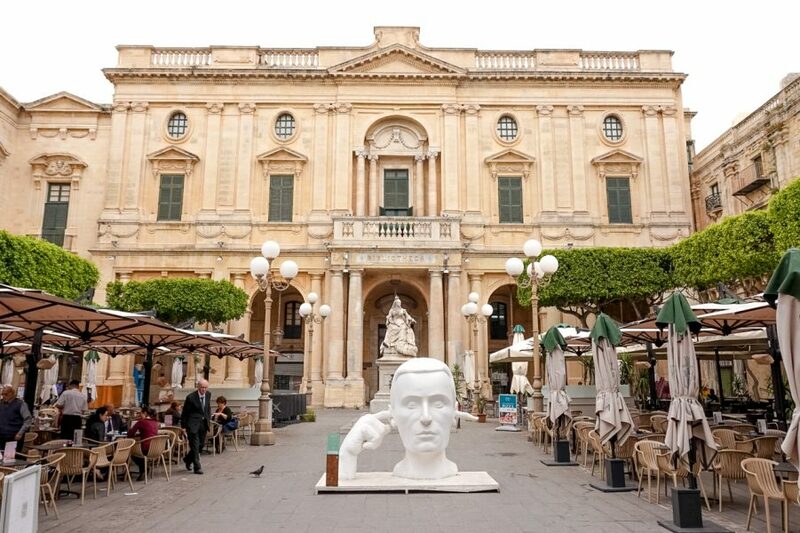 Valletta became the cultural capital of Europe in 2018? The smallest capital in the European Union. Over 140 projects and 400 events have been planned in 2018 around three main themes: island stories, future baroque and voyages. 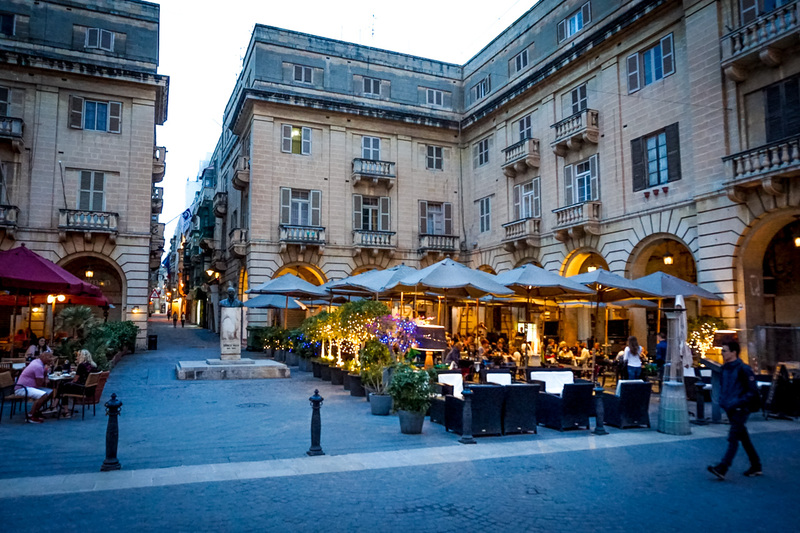 Tip: In Valletta on a Friday night? Head to Bridge Bar for live jazz music. Everyone gathers on the steps with cushions , snacks, drinks and live music. Perfect way to start the weekend! 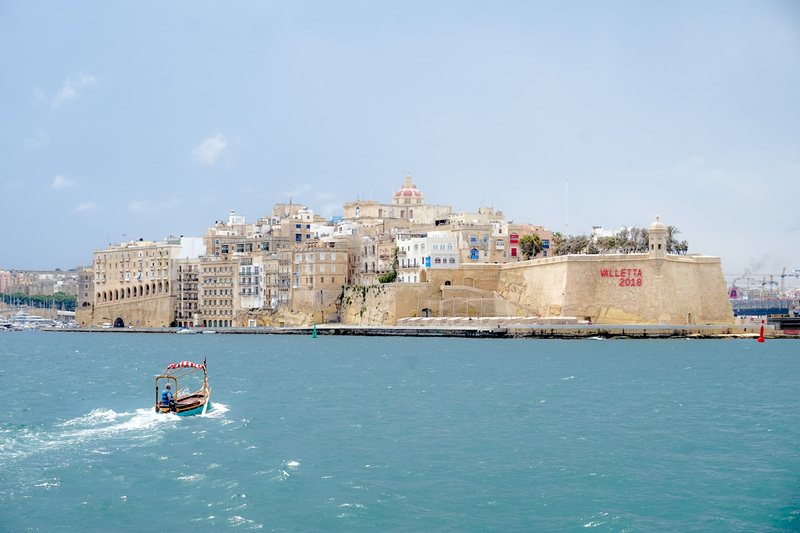 These three fortified cities (Senglea, Cospicua and Vittoriosa which is more commonly known as Birgu) are worth a visit on any trip to Malta. 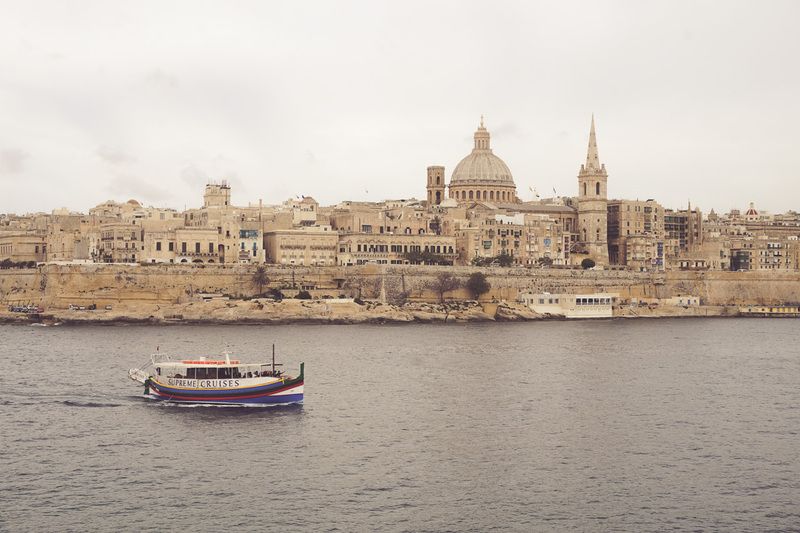 You can take a typical Maltese boat across the harbour for €2 or a larger ferry for €1. 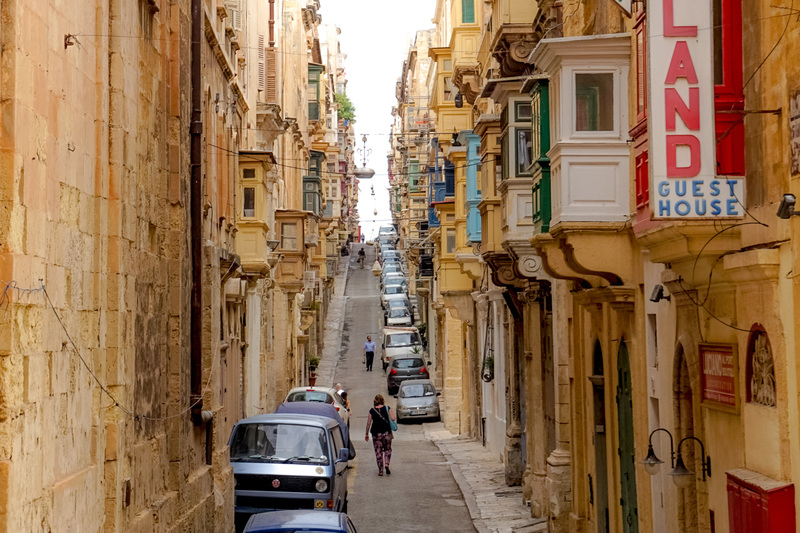 The streets are less visited than that of Valletta so you really get a chance to feel what life is like in Malta. 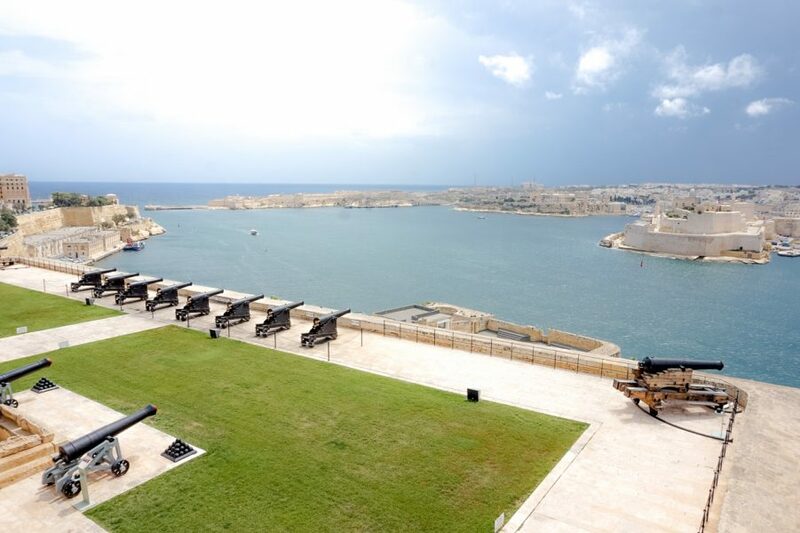 You can learn about the fascinating military history of Malta at Fort St. Angelo, an icon of the country. Be sure to get a heavy dose of envy as you stroll by all the super yachts docked in the harbour. 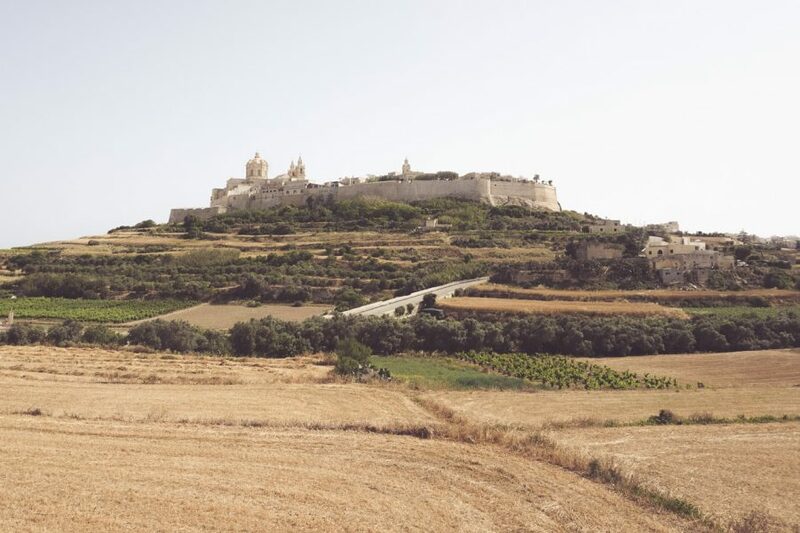 You can’t help but notice the Majestic city of Mdina from afar. This perfectly preserved walled city is perched high on the hill, away from it all. 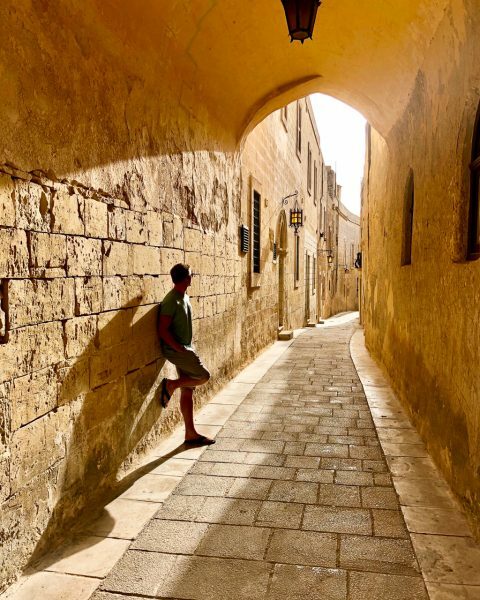 Mdina is referred to as the silent city and we can understand why. 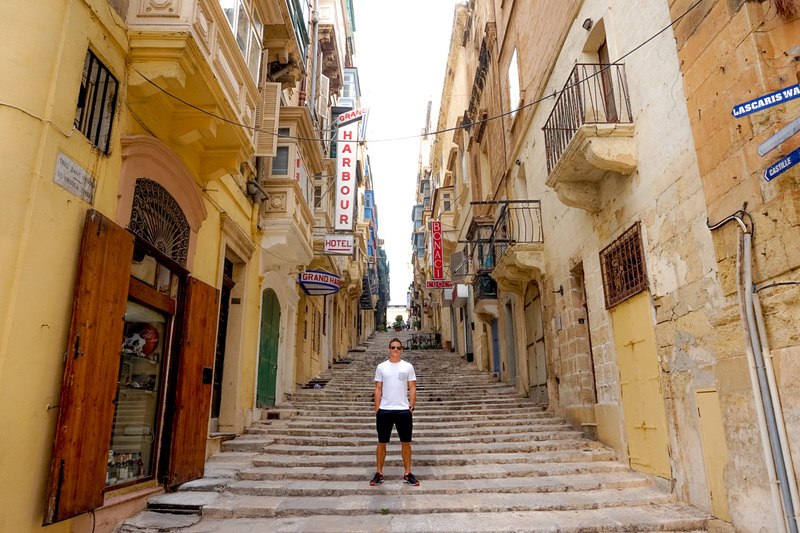 It’s extremely peaceful, there are no cars allowed to enter the walls of this city, aside from residents which make up a total of only 300 and the authorities are very strict on noise regulations. 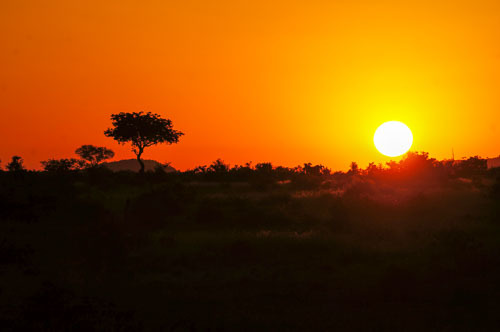 There are excellent viewpoints of the surrounding countryside, especially during golden hour (prime photography time!). 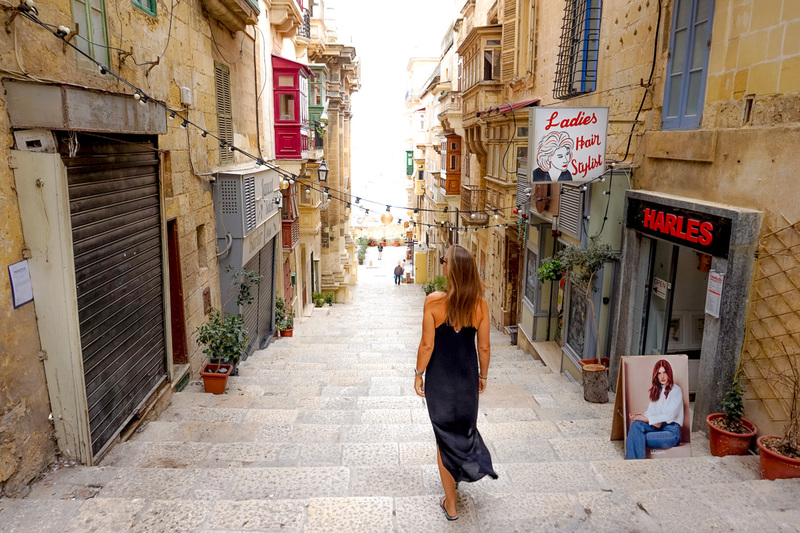 It felt like a never-ending maze of beautiful alleys, windy streets, colourful doors with traditional door handles, and typical restaurants who’ve kept their charm. It’s also the set of many Game of Thrones scenes. Tip: Stay for the “Golden Hour” . The lighting in the alley ways is gorgeous. Traditional Maltese food is a blend of many different cuisines. 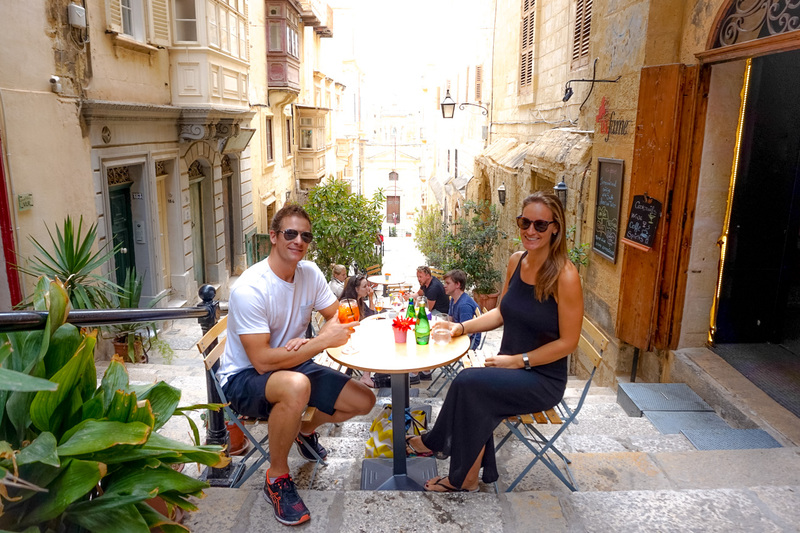 We weren’t too sure what to expect with Maltese cuisine but we were surprised with the variety of choices and emphasis on local, fresh produce. There were definitely some dishes that stood out more than others. Rabbit? Horse? Hmm. One thing we learnt for sure was the Maltese love their bread and cheese. But not all cheese, just one particular type of cheese. Gbejniet, which is made from either sheep’s or goat’s milk. 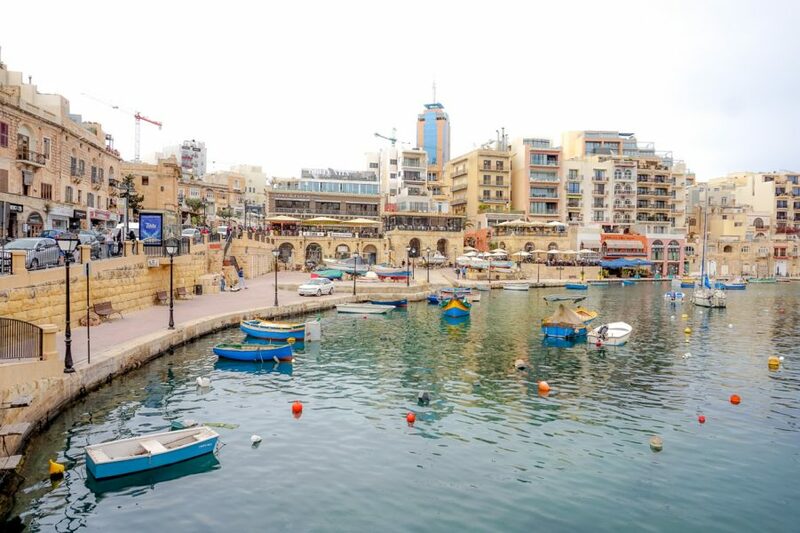 There are many places to sample local cuisine in Malta, after all, you are in their country! 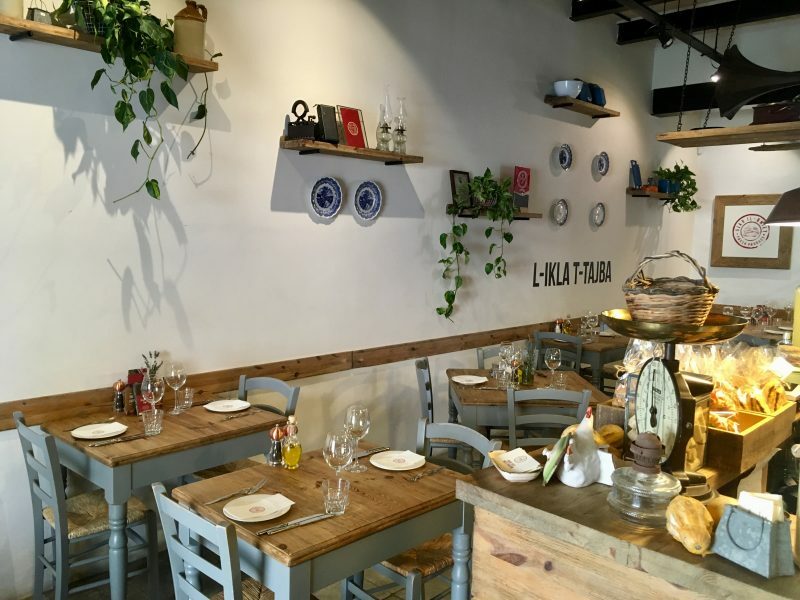 However, if you’re close by to Silema, head to Ta – Kris to try many local, well-made dishes or Nenu the Artisan Baker in Valletta to try the local bread – the ftira. Mmm bread. 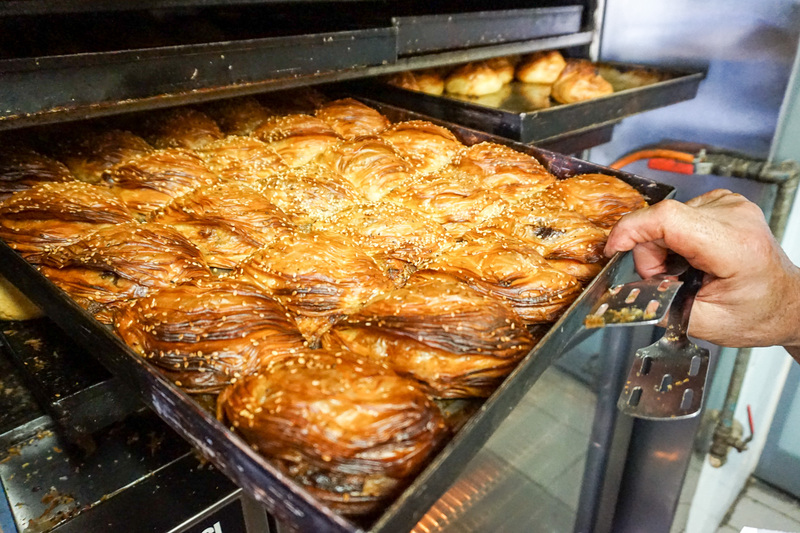 Read: 12 Foods You Must Try In Malta. 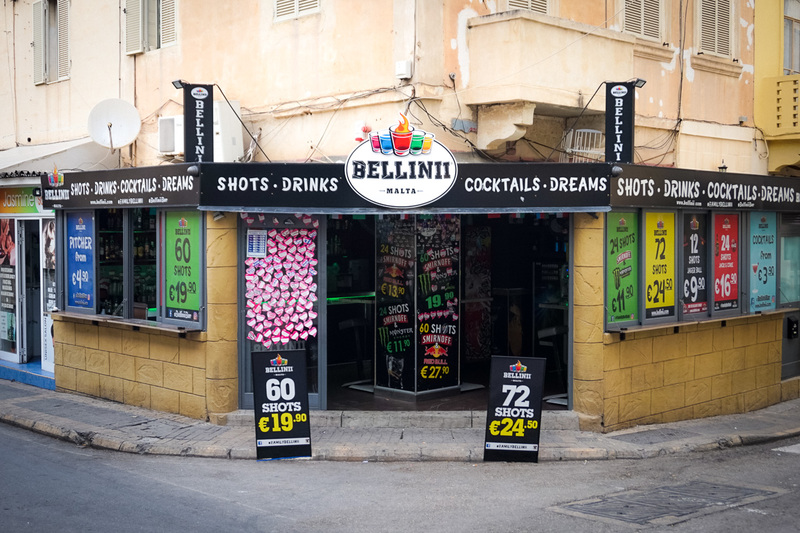 €24 for 72 shots anyone? If that doesn’t set the scene for what Paceville is all about then I’m not entirely sure what else will. 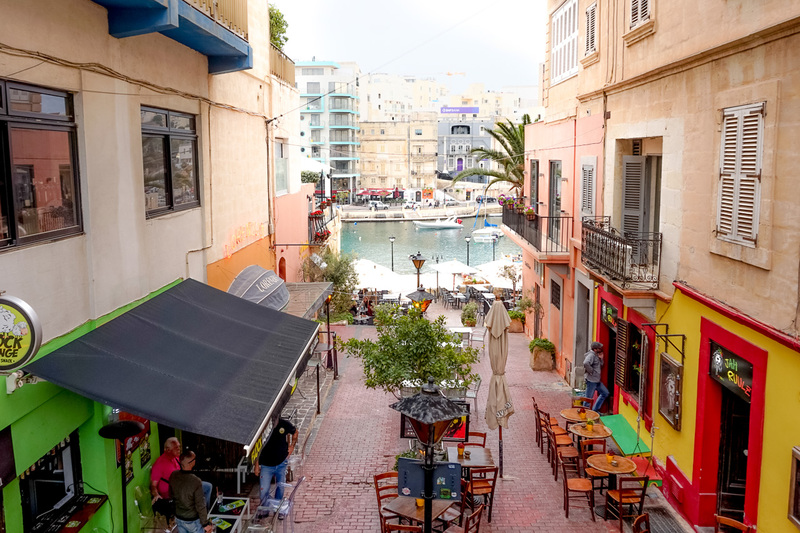 Paceville can be found just next to St Julians, a popular spot for tourists visiting Malta. However, if partying isn’t your thing and you are older than say 25 years of age then perhaps Paceville isn’t for you. Rowdy crowds, western pubs, bucket style drinks – well, you can use your imagination. 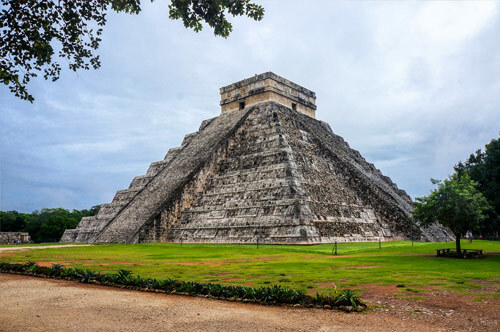 We ventured through here during the day and into the early evening and found it a pleasant place to grab a meal but anything more, prepare yourselves or avoid it all together. Don’t leave Malta without stepping foot on Gozo! The “Mini Malta” as some will call it. 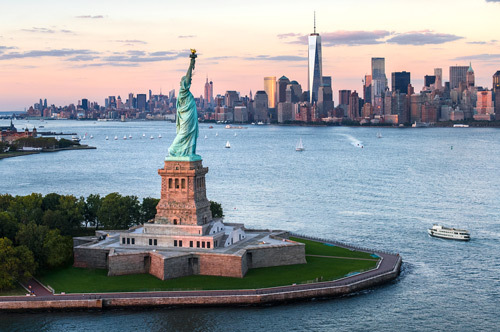 In our opinion, if your schedule allows it, spend at least one night on this beautiful island and avoid rushing it in a day trip. There are so many gorgeous swimming bays, fantastic restaurants, hikes, picturesque scenery, friendly locals and slightly less chaos ;). 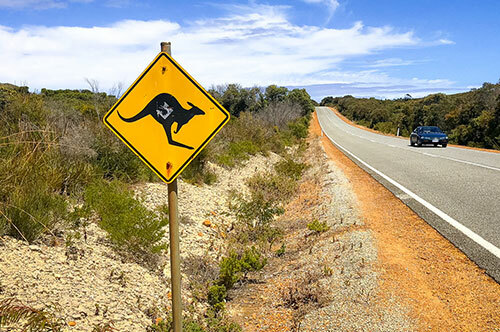 You can find a full guide to this quaint island as well as the top things to do whilst you’re there in further posts shown below. The Blue Lagoon which can be found on the tiny island of Comino is one of Malta’s most visited attractions and for good reason. It is best known for its transparent, crystal blue waters as well as an abundance of marine life. It’s picture perfect and honestly, quite possibly has the bluest water we’ve ever seen. 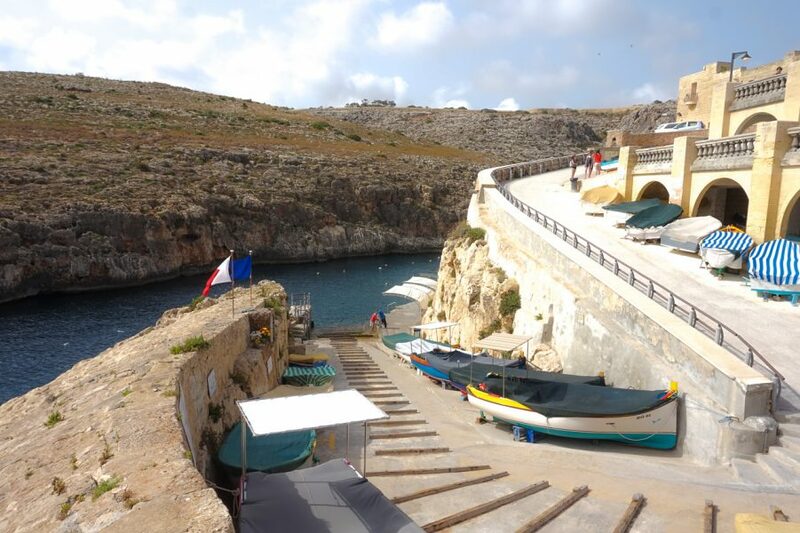 The Blue Lagoon can be visited within 10-15 minutes via boat on a day trip from either Malta or Gozo for €10 return. There is no large sandy beach so prepare to lay your towels down on the rocky cliffs surrounding the Blue Lagoon. 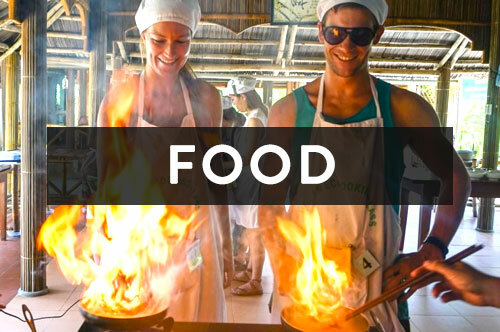 There are no restaurants but you can find food trucks selling food, drinks & necessities. There are also lockers for rent. Need more inspiration? 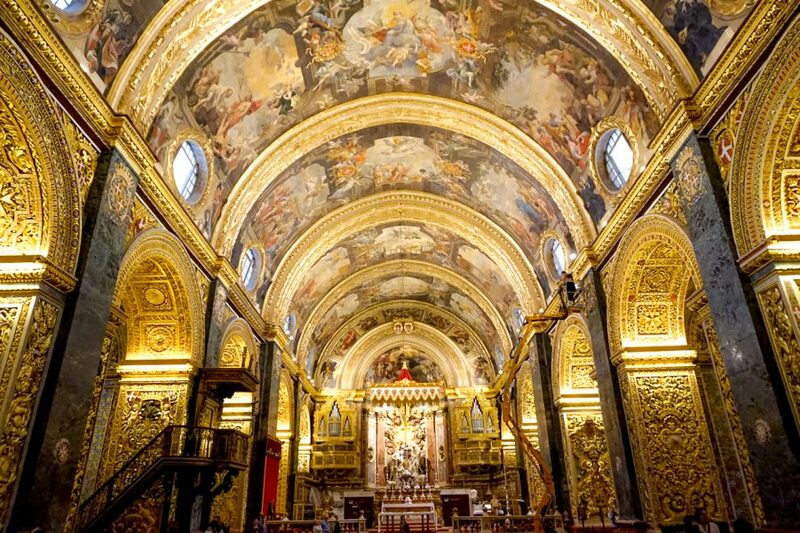 See here for 50 more things to do in Malta. 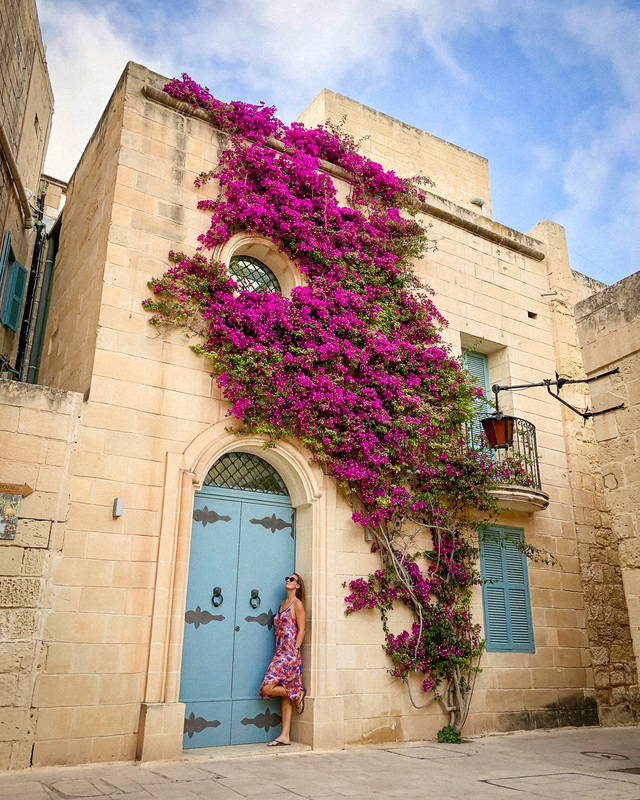 Looking for Accommodation in Malta?